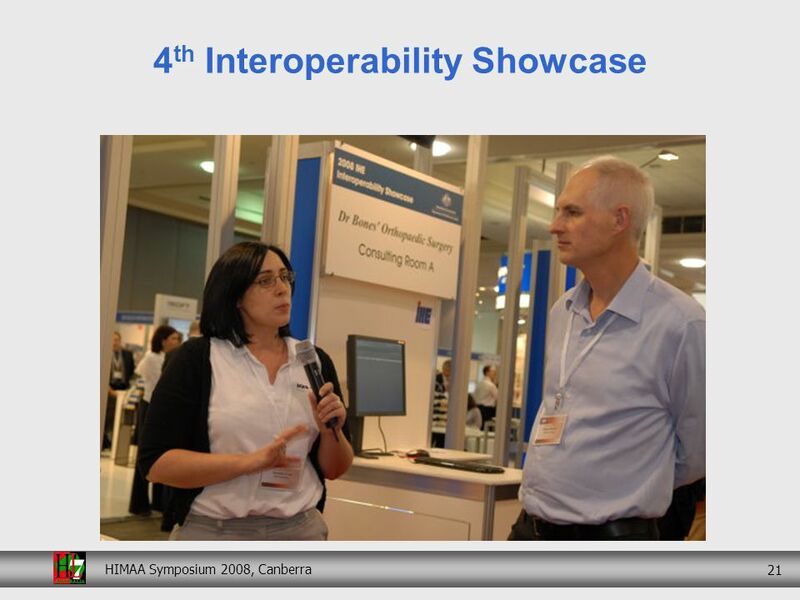 HIMAA Symposium 2008, Canberra 1 Integrating the Healthcare Enterprise Klaus Veil Manager - IHE Connectathon and Interoperability Showcase 2008 Chairman. 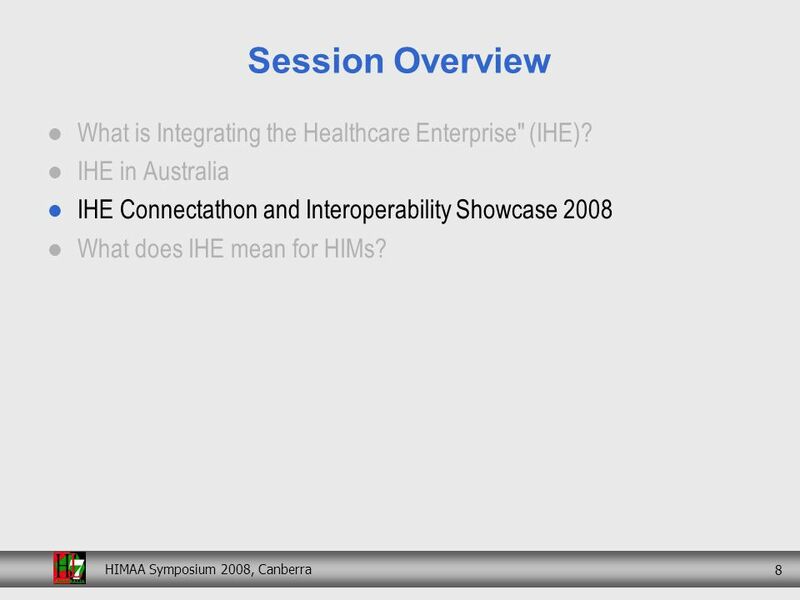 2 HIMAA Symposium 2008, Canberra 2 Session Overview What is Integrating the Healthcare Enterprise" (IHE)? 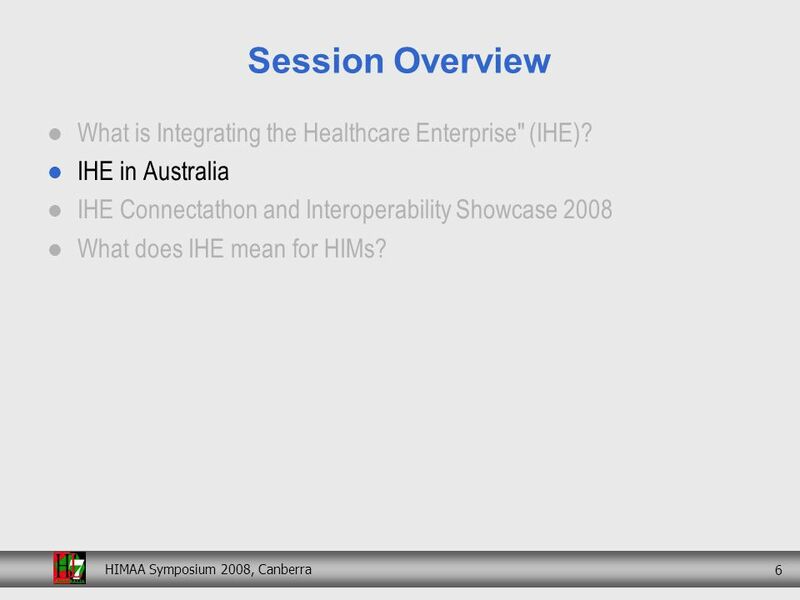 IHE in Australia IHE Connectathon and Interoperability Showcase 2008 What does IHE mean for HIMs? 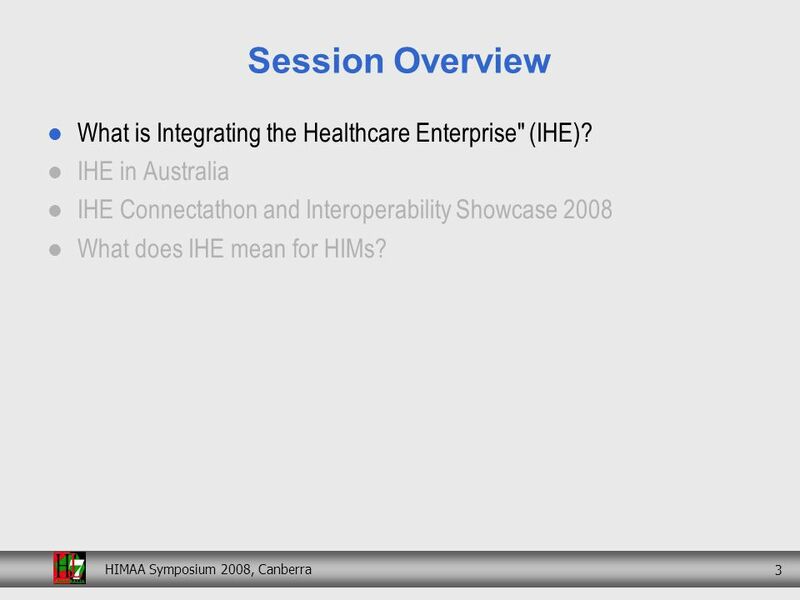 3 HIMAA Symposium 2008, Canberra 3 Session Overview What is Integrating the Healthcare Enterprise" (IHE)? 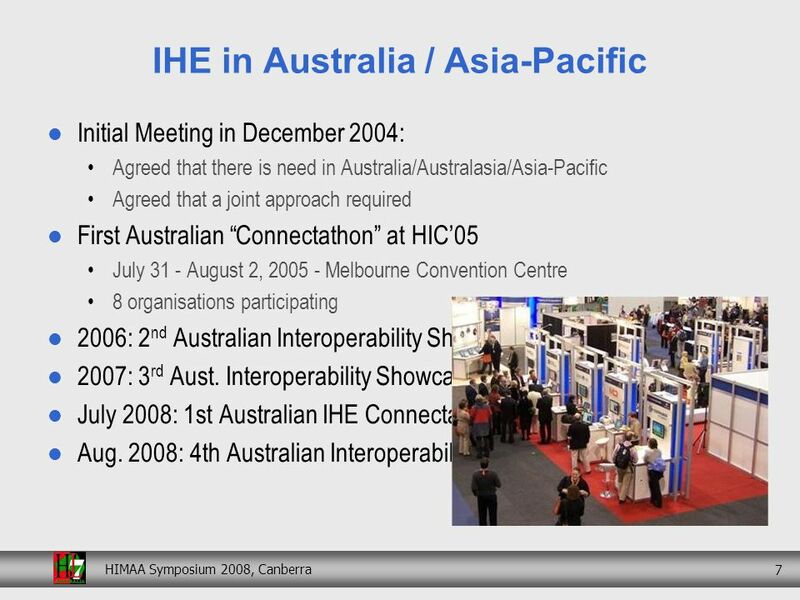 IHE in Australia IHE Connectathon and Interoperability Showcase 2008 What does IHE mean for HIMs? 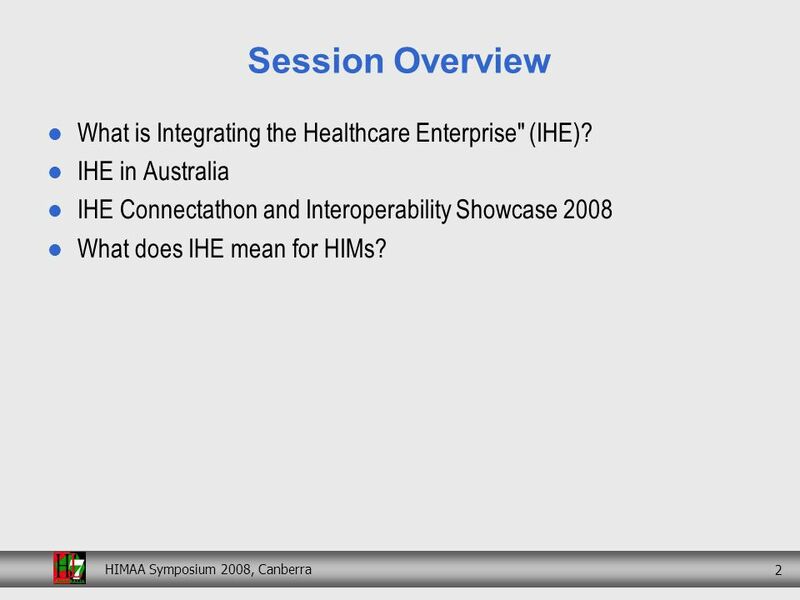 6 HIMAA Symposium 2008, Canberra 6 Session Overview What is Integrating the Healthcare Enterprise" (IHE)? 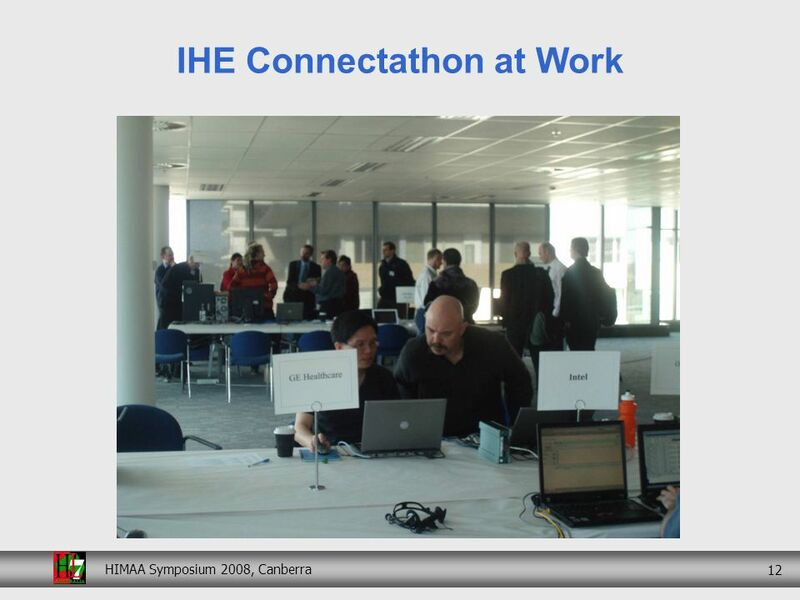 IHE in Australia IHE Connectathon and Interoperability Showcase 2008 What does IHE mean for HIMs? 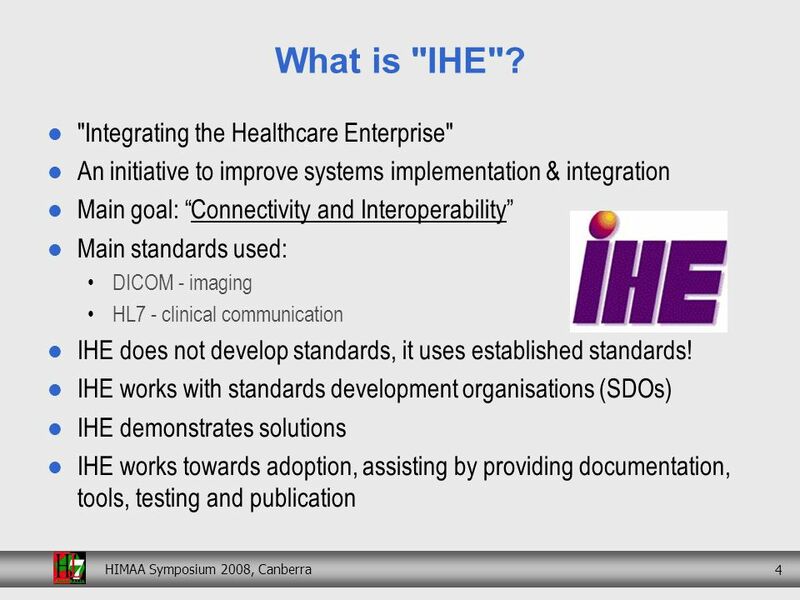 8 HIMAA Symposium 2008, Canberra 8 Session Overview What is Integrating the Healthcare Enterprise" (IHE)? 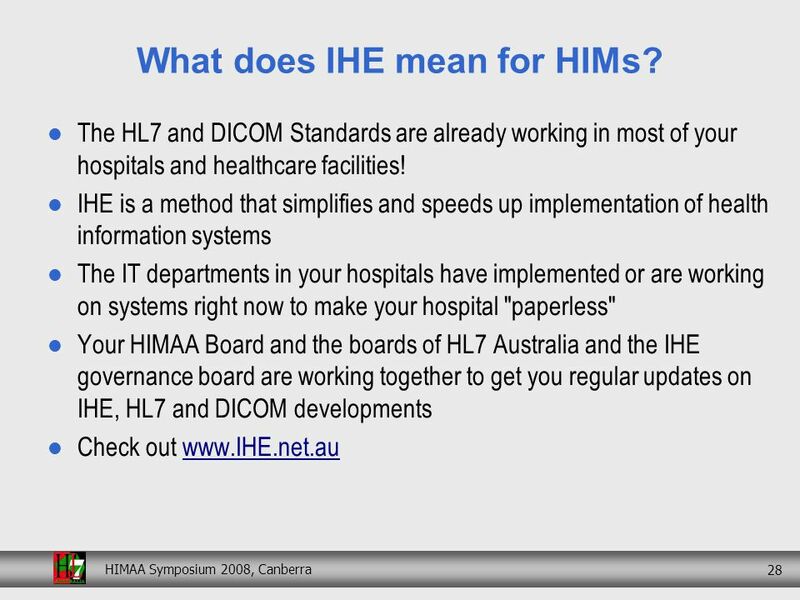 IHE in Australia IHE Connectathon and Interoperability Showcase 2008 What does IHE mean for HIMs? 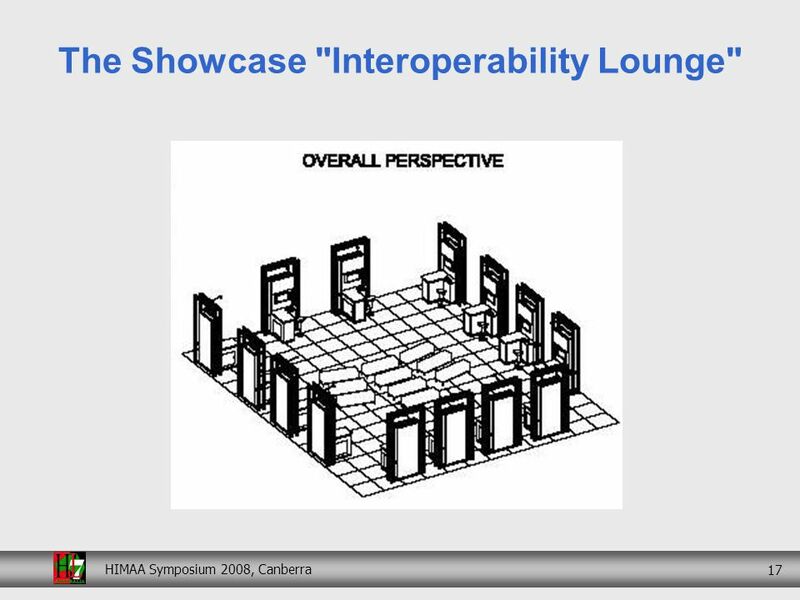 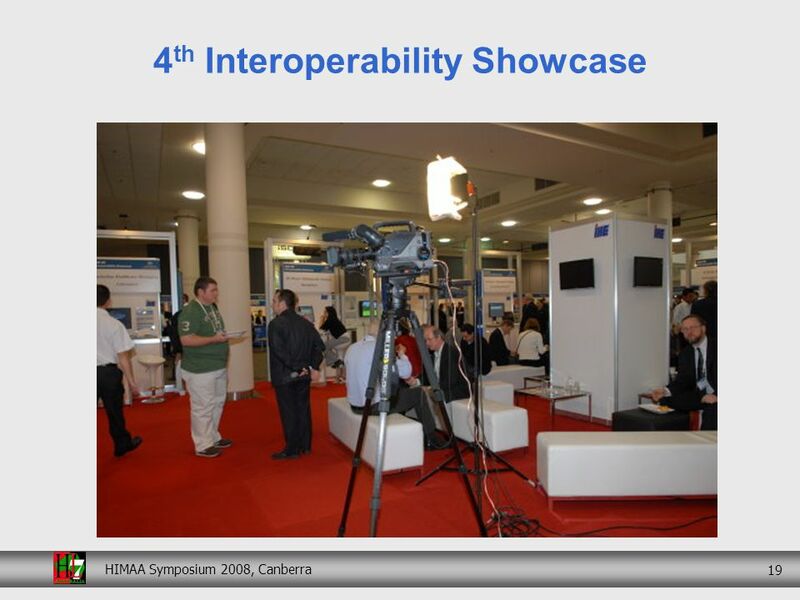 17 HIMAA Symposium 2008, Canberra 17 The Showcase "Interoperability Lounge"
22 HIMAA Symposium 2008, Canberra 22 Problem: Loss or delay of clinical info due to system failures. 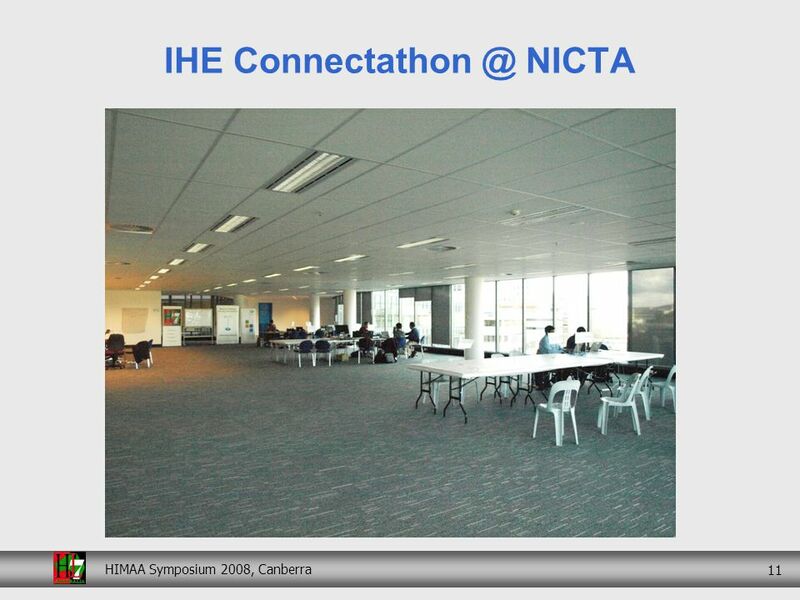 Myth: "Electronic Data can disappear without a trace" Problem: How best to transport and distribute images? 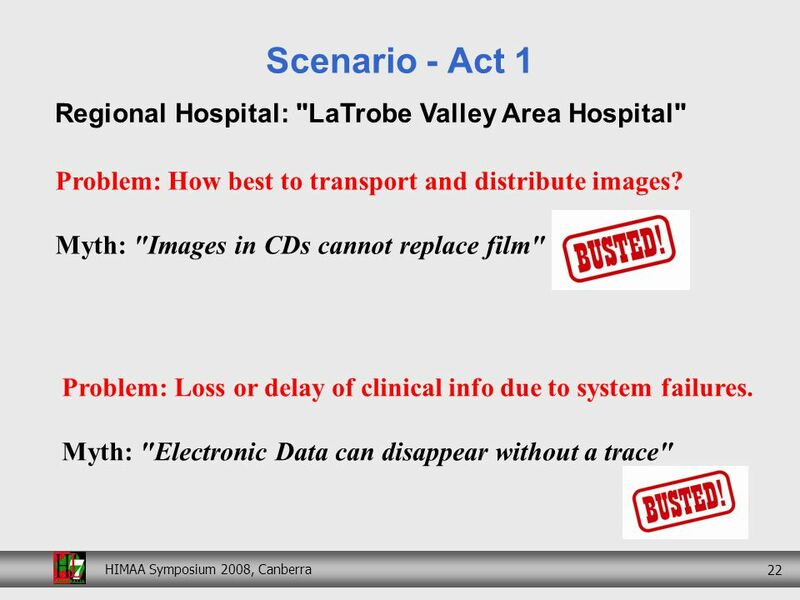 Myth: "Images in CDs cannot replace film" Scenario - Act 1 Regional Hospital: "LaTrobe Valley Area Hospital"
23 HIMAA Symposium 2008, Canberra 23 Problem: Access to hospital clinical data is limited? 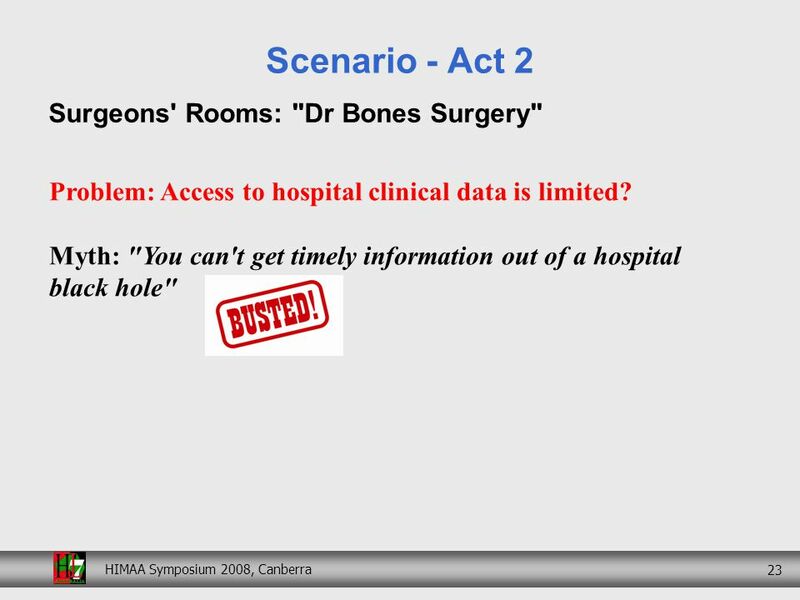 Myth: "You can't get timely information out of a hospital black hole" Scenario - Act 2 Surgeons' Rooms: "Dr Bones Surgery"
24 HIMAA Symposium 2008, Canberra 24 Problem: How can Digital Imaging eliminate film transport and storage? 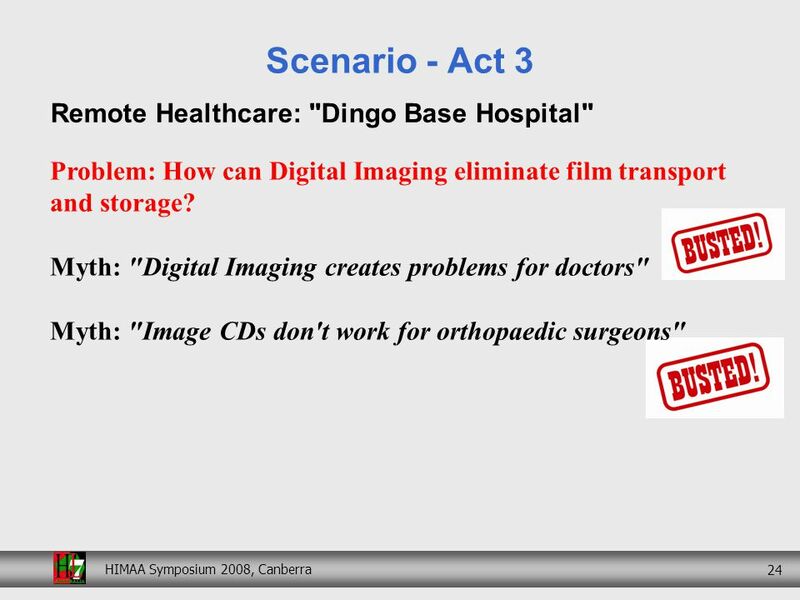 Myth: "Digital Imaging creates problems for doctors" Myth: "Image CDs don't work for orthopaedic surgeons" Scenario - Act 3 Remote Healthcare: "Dingo Base Hospital"
25 HIMAA Symposium 2008, Canberra 25 Problem: Access to medical records at a remote location Myth: "We need a national EHR to access data remotely" Scenario - Act 4 Problem: How to get patient consent to access the EHR? 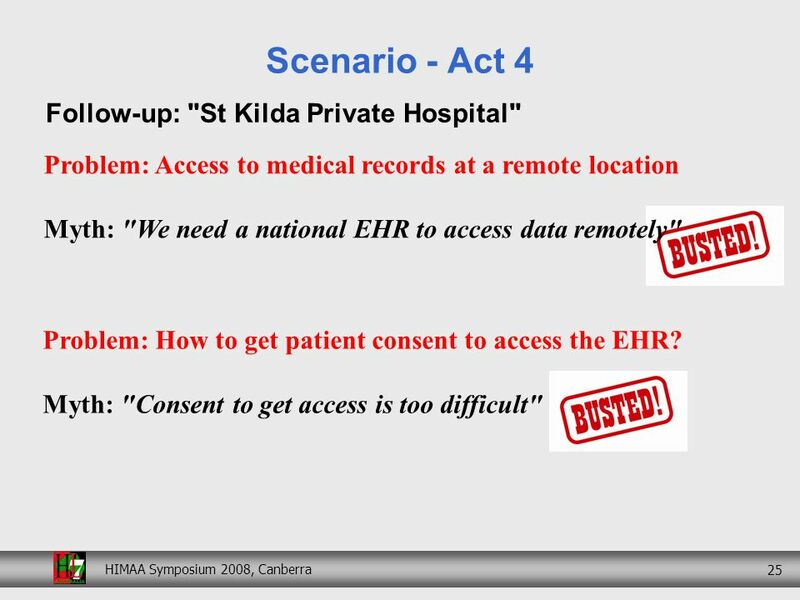 Myth: "Consent to get access is too difficult" Follow-up: "St Kilda Private Hospital"
27 HIMAA Symposium 2008, Canberra 27 Session Overview What is Integrating the Healthcare Enterprise" (IHE)? 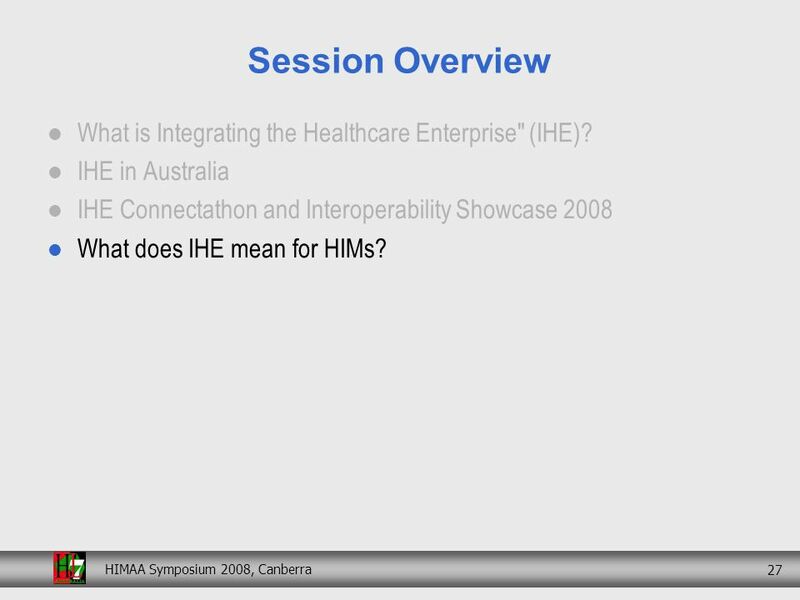 IHE in Australia IHE Connectathon and Interoperability Showcase 2008 What does IHE mean for HIMs? 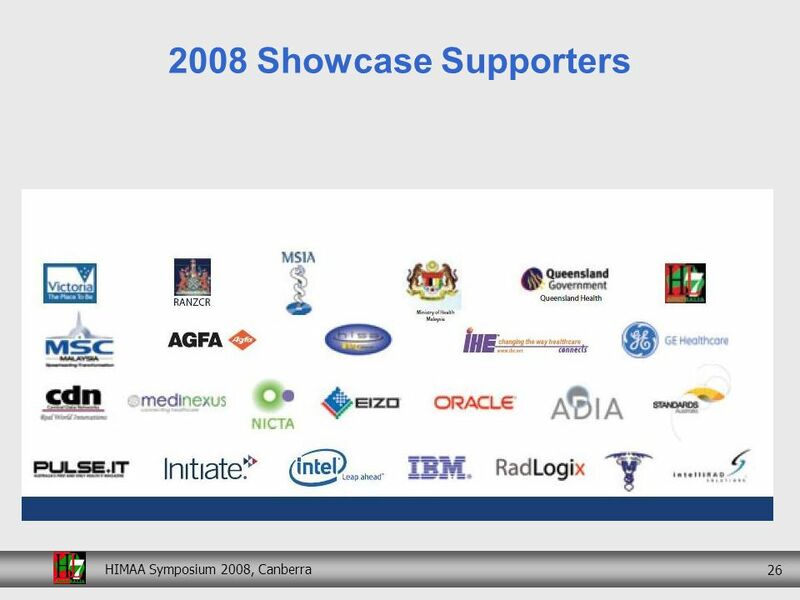 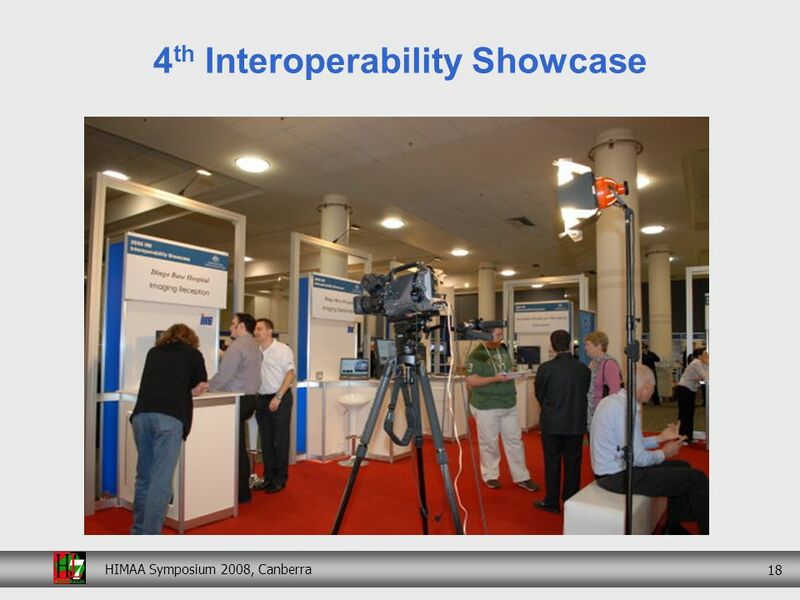 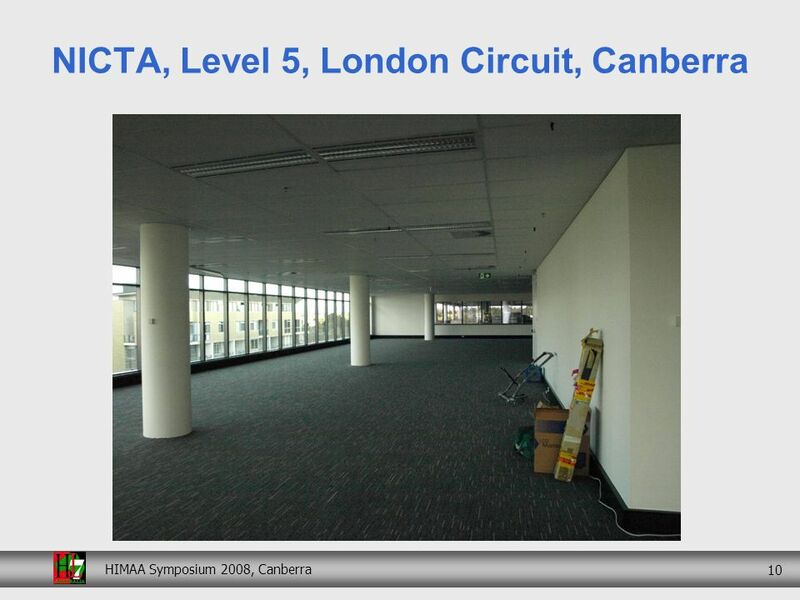 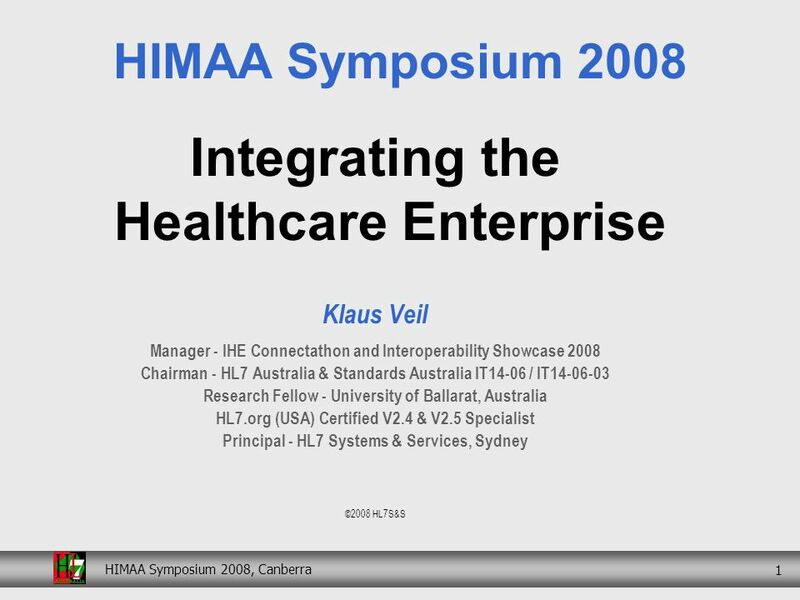 Download ppt "HIMAA Symposium 2008, Canberra 1 Integrating the Healthcare Enterprise Klaus Veil Manager - IHE Connectathon and Interoperability Showcase 2008 Chairman." 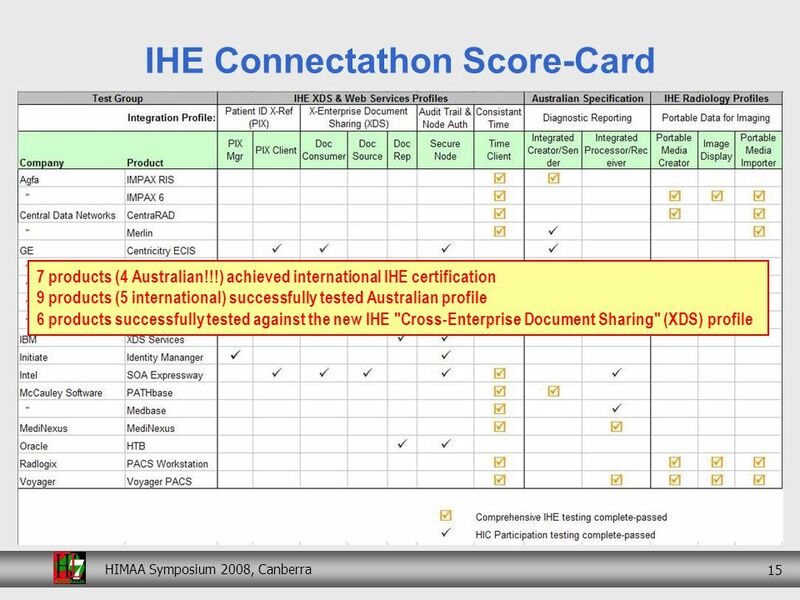 The Connectathon: IHEs Conformance Testing Process Presented by: Mike Nusbaum & Mike Glickman IHE Interoperability Showcase Planning Committee January. 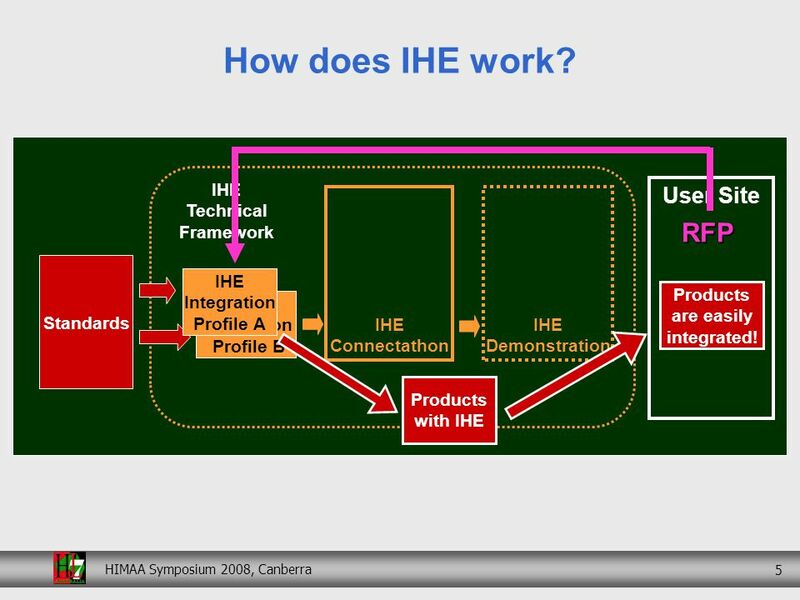 September, 2005What IHE Delivers VA Success Story – Image Acquisition using IHE Scheduled Workflow June 6~7, 2006 Peter Kuzmak, Andrew Casertano, and. 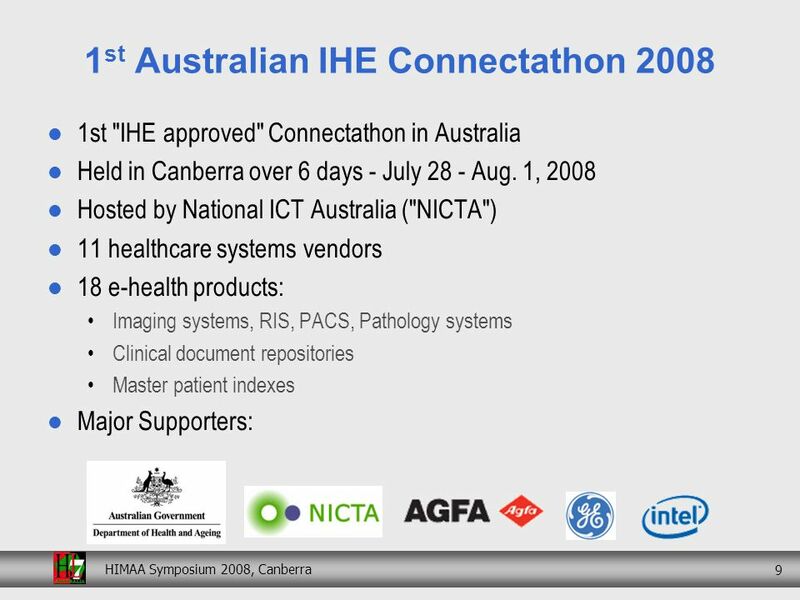 September, 2005What IHE Delivers 1 Purchasing & Integrating Radiology Systems Using IHE: A Tutorial & A Real-world Case Kevin ODonnell, Cor Loef, John. 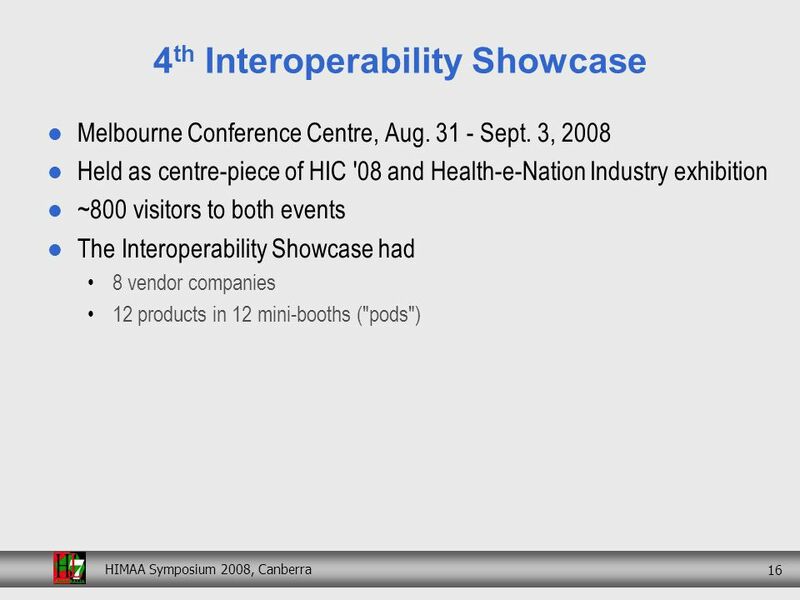 Sept 13-15, 2004IHE Interoperability Workshop 1 Integrating the Healthcare Enterprise IHE Tools for Users and Integrators: Connectathon, Integration Statements. 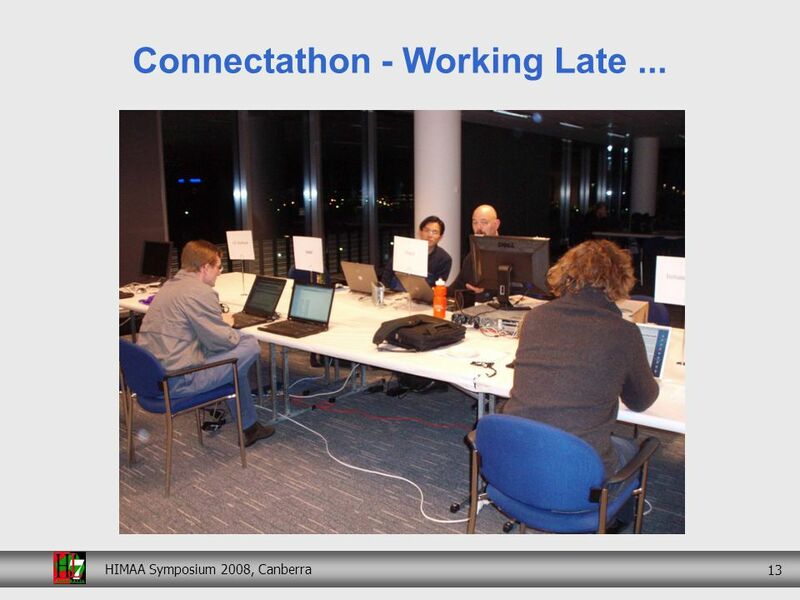 Connectathon Overview IHE Workshop 2007 Chris Carr RSNA. 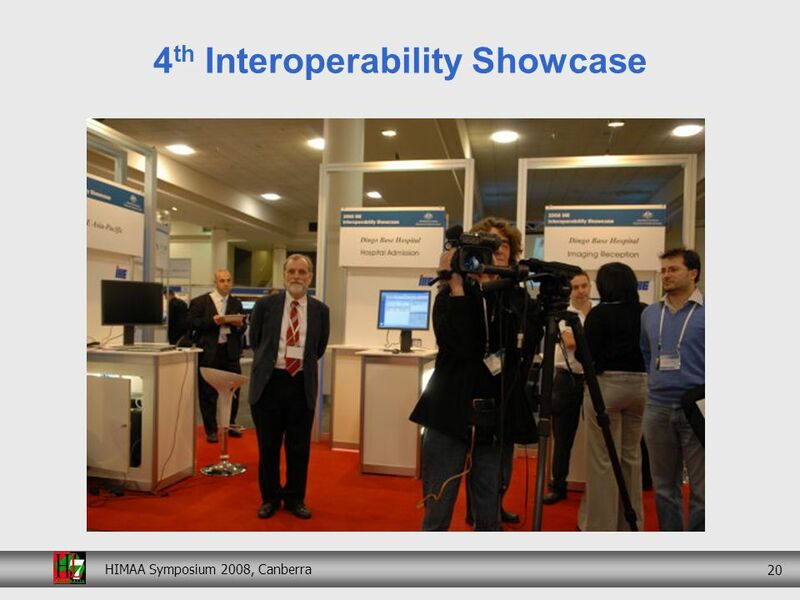 September, 2005What IHE Delivers Andrew M. Keller, MD, FACC, FASE, FACP Chief of Cardiology, Danbury Hospital Danbury, CT, USA Integrating the Healthcare.